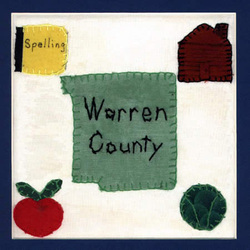 The Warren County RTA, organized in 1971, carries on a commitment to education in Warren County which began in 1798, with the completion of a log school house build by neighbors in the Lebanon area. Students ranged in age from 8 to 28. A charter member of WCRTA, Barnett Butterworth, was a descendant of Henry T. Butterworth, a conductor on the Underground Railroad. The Butterworth’s were among the families who arrived in the area in the 1790’s. Lebanon was also the home of Southwestern Normal School, a teachers’ college which graduated 80,000 students from 1855 to 1915. Today, WCRTA members are active in volunteer activities in their community and interested in current educational developments. Chapter activities include antiquing trips, attending the Waynesville Sauerkraut Festival, Fort Ancient, spelling bees, and the Golden Lamb. We always have room for more. Please consider joining us.